I could sit here for hours! 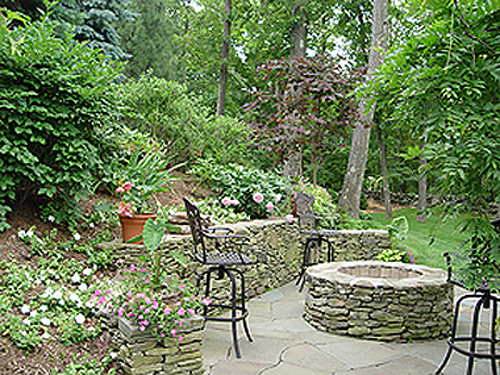 This is just a quick post to give you some ideas for Outdoor Living Spaces. This is a trend that is starting to take off in newer homes and remodeling, but it has been a vital part of Permaculture Design for a long time. We need to do everything we can to increase our time outdoors. There are a lot of other benefits for being outside, but the direct Permaculture benefit is observation. When we are outside, we have the ability to observe and interact with nature. We gain a better understanding of the normal cycles of the natural world. The more experience we have with nature, the easier it will be for us to mimic or use these natural cycles for our benefit. 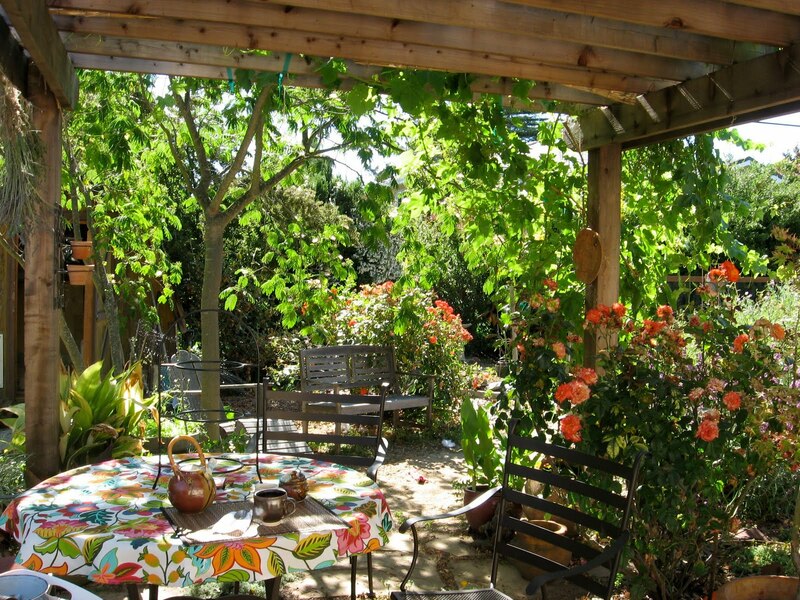 This pergola is a great place to grow vining fruit like grapes (shown) or kiwi. 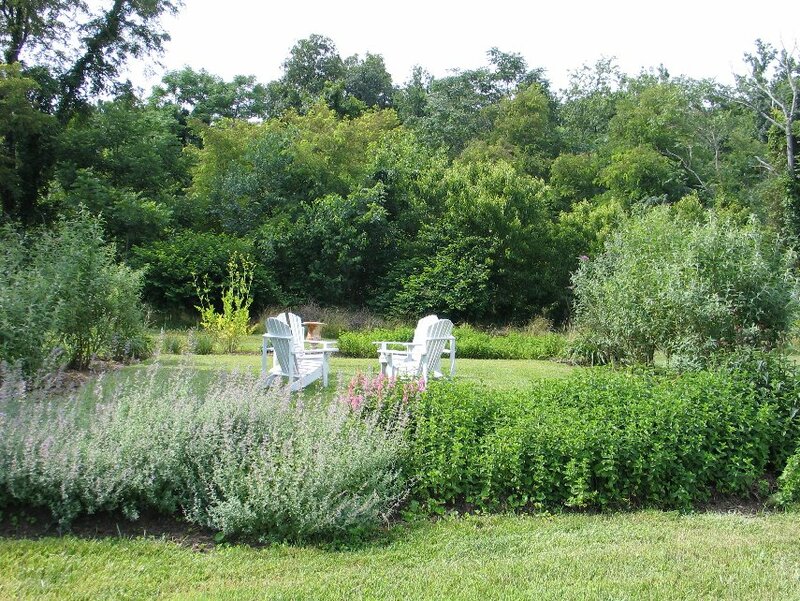 The deciduous vines give shade in the summer but let through warming sun in the winter. 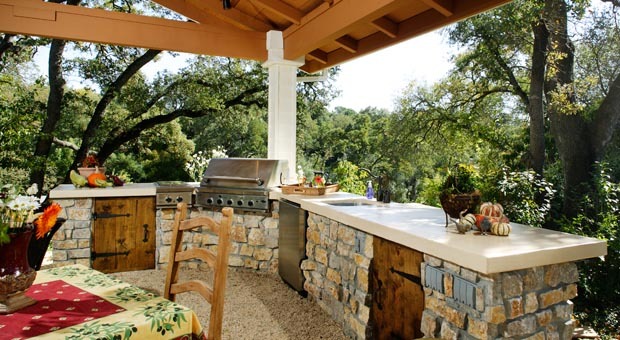 An outdoor kitchen will increase your time outside. Plus with all the cooking heat outside, the home won’t get too hot in the summer. 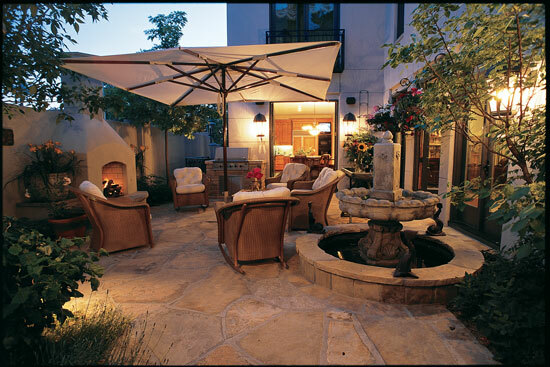 A simple but classy back patio with fireplace and water feature. 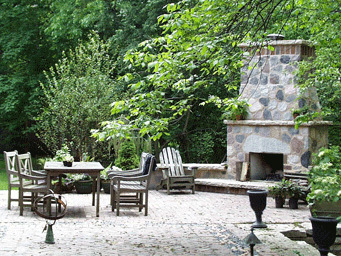 A small fire pit at the edge of a forest… could be your forest garden. 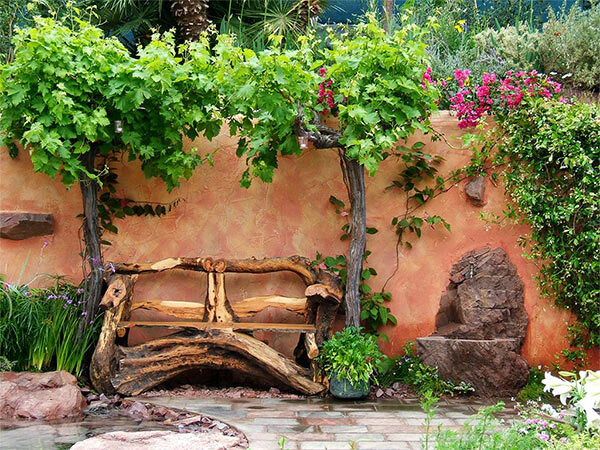 A rustic bench in the corner of a garden. 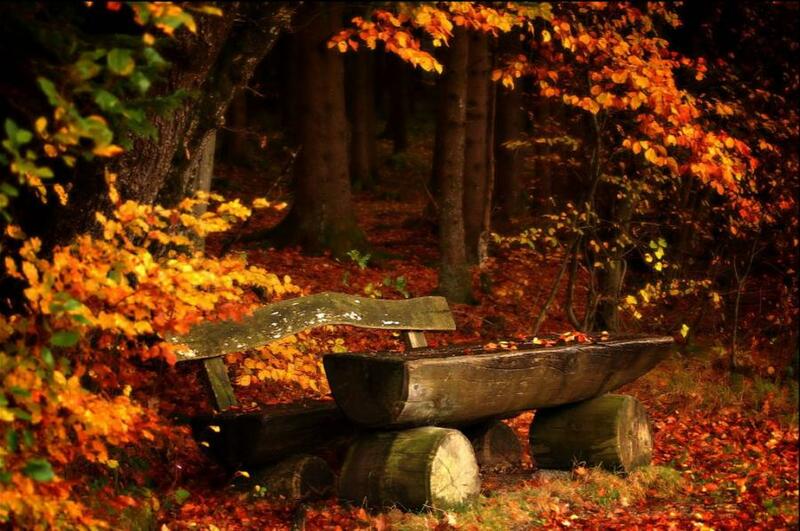 Take the time to relax and enjoy nature! A simple outdoor living space created with just a couple of chairs.